Several acts performed that night, although, I just want to report on the ones I liked (because this blog is about music I like, and not so much on ragging on stuff I don’t like), and two of those artists that performed were Of Verona and Blaqstarr. Of Verona, a band with members from Brooklyn and Canada nestled here in LA, is a new rock band, being MTV’s “Bands to know in 2011”. The lead singer, Mandy Perkins, lead an amazing show. She had spot on vocals, energy, presence and a unique look. Of Verona set an upbeat, although mellow mood in the Music Box theater. They had the crowd moving and really digging the music. They performed Match, Raining and a couple of other songs. This band is totally worth live. They made my night. Very fun. The music had heavy bass, repeating hooks, funky dance beats and the crowd was definitely dancing and getting down. 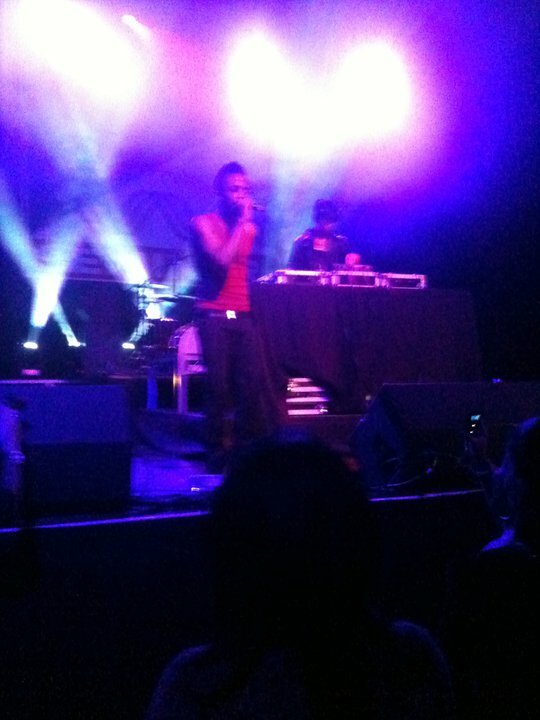 At one point, Blaqstarr got to the DJ turntables and was spinning himself. He stopped the music and said that since it was Valentine’s Day, he was getting a message to play a certain song, then proceeded to play “Candlelight” and a singer came out to sing the song. Blaqstarr is from Baltimore and is known for working with M.I.A. Check out both of these artists. Both are great live, definitely worth seeing. Recently I have become a 30 Seconds to Mars fan. 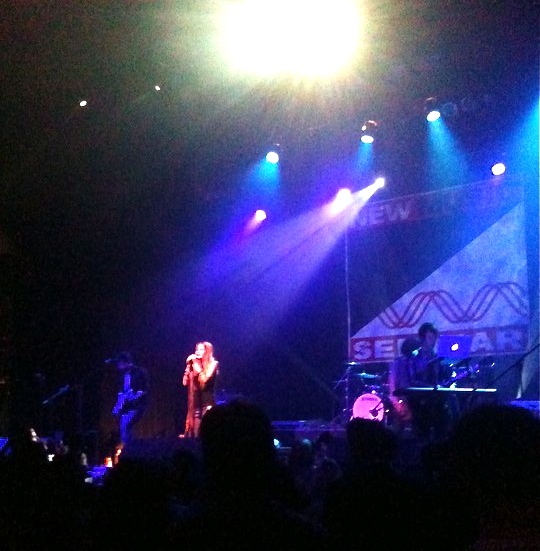 Upon hearing that they were touring for their hit album “This Is War”, I searched through Craigslist, got tickets the day before and went to see the band in Pomona, CA on January 14th at the Fox Theater. Opening for 30 Seconds to Mars was Middle Class Rut, a duo that completely rocked out. A guitar player and a drummer who both sang and at one point, the drummer was so frustrated with his vocal mic falling over, that he picked up the mic stand, threw it on his drum set and continued playing like the rock star he was. After the song, he explained the teleprompter told him to throw his mic on the drums. 30 Seconds to Mars came onstage to a crowd of screaming girls. I didn’t realize their fan base consisted of mostly rocker chicks. Silly me. Jared Leto strutted onto stage with sunglasses and a black furry jacket. I couldn’t help but laugh. Seriously? Are we back in the 80s? I guess that’s the kind of rock star he is. Leto maintained his fierce rocker energy through out the show. Running around the whole stage and when he finally took of the jacket and sunglasses, I could see his wild eyes. I guess it’s the actor thing, he’s just committed onstage. During the middle of the set, Leto called out two people sitting in the balcony, telling them to get up and jump along with the rest of the crowd. I’m not a huge fan of jumping, but the energy in the crowd was contagious. A part of me wanted to see 30 Seconds to Mars in an arena. I felt like it was a big band on a little stage. Leto definitely needs more room to run around on stage and work up the crowd, not that he didn’t already, but I just felt like there could have been more potential in the show they presented. “Search and Destroy” was one of my favorites of the night, when Leto screams, “I’m a whore!” lifting his shirt amidst all the screaming girls. (Seriously, I didn’t think there would be so many screaming girls at the concert). Some of the slower songs, “Alibi” and Lady Gaga’s “Bad Romance” were a nice touch to showcase Leto’s voice. And speaking of Leto’s voice, my BIGGEST complaint of the night was that he wasn’t singing enough, he let the crowd sing the majority of the choruses. Yeah, it’s fun once in a while, but I paid to hear him sing, not a karaoke version of the crowd. That was disappointing. 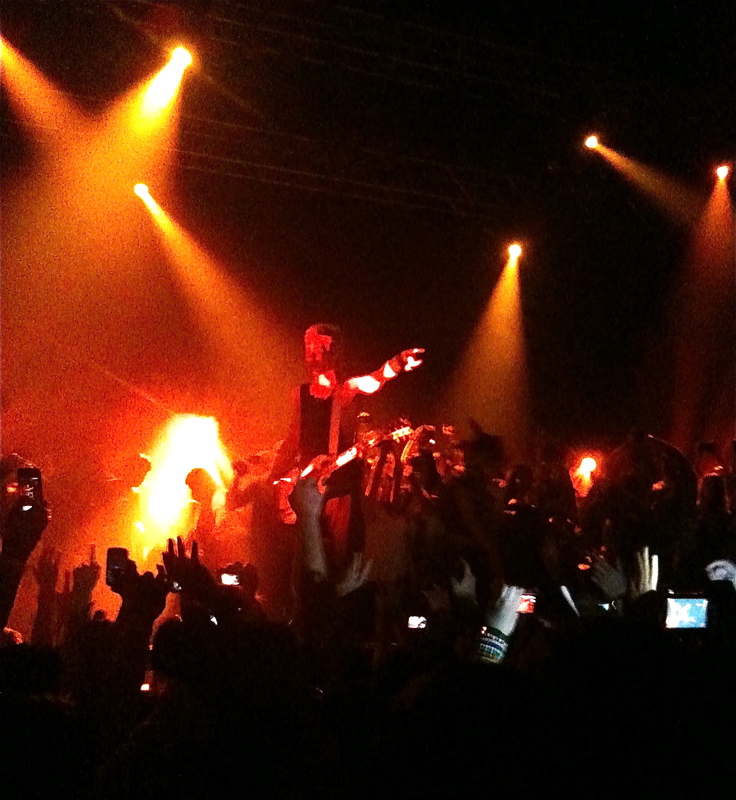 The concert consisted of songs from the “This is War” album, “Night of the Hunter”, “Closer to the Edge” and the encore songs were “Hurricane” and “Kings and Queens”. I was waiting for “Hurricane” the whole night, after seeing their racy unedited music video on Vevo, I was even more intrigued with the band (and the review of the music video is for another blog entirely). The last song, “Kings and Queens” members from the crowd were allowed onstage. I bet those screaming rocker chicks just loved that! The bass was insane at the Fox Theater, the sound was good. I had some gripes, although I had fun at the concert. If I ever do see 30 Seconds to Mars again, it would have to be at an arena, I feel like big spaces is their natural territory, for the sound and for the show itself.